Having the locks in your apartment changed is going to be a significant investment on your part. It’s a good idea to do your research and get the right kind of locks installed during the apartment lock change operation. 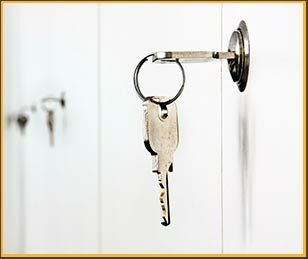 Not only will doing that save you from having to get replacements earlier than you thought down the road, but you will also get maximum security possible from external threats like thieves and vandals.Olympia Fields Lock And Key is a professional residential locksmith service that offers free consultations for home owners in the Olympia Fields, IL area. If you need new locks installed in your apartment, our experienced professionals can help you pick the ones that are perfectly suited to your property – and your budget. When you hire our apartment lock change service, you can choose from a wide variety of high quality, durable locks from our inventory. We carry locks from the most reputed manufacturers in the business. Your new locks will last you a good long time and provide you a high degree of protection against even determined thieves/vandals. We carry mechanical locks, if you’re looking for something traditional, as well as electronic ones that you can open with a remote or smartphone. The high security locks have keys that are extremely difficult to duplicate, too. According to the American Locking Standards Institute (ALSI), locks are divided into three different grades: Grade 1, Grade 2, and Grade 3. If you’re going for our service, then you should keep in mind that Grade 1 locks provide the maximum possible protection and are suitable for the front entry door. Grade 2 and Grade 3 locking systems should ideally be installed inside the apartment. Our apartment lock change service is nothing if not fast. Our locksmiths are highly experienced and receive a great deal of training, all of which allows them to change your old locks and replace them with new ones quickly and in a hassle-free way. As soon as you contact us and explain your requirements, we will send a team to your location. We can reach areas in Olympia Fields in less than 30 minutes, usually. You can hire us whenever it’s most convenient for you. We can even work overnight, if you don’t want us to interrupt your regular schedule. Looking for a trustworthy, fast, and affordable apartment lock change service? Hire our experts now on 708-297-9191 !